Whilst on duty at Antiques-On-High, Oxford, who should walk into the shop? - Ian Spellerberg, or should I say Emeritus Professor Ian Spellerberg! Ian, well known for his work on the 'myth of the page turner' published a book in 2015 covering this subject. 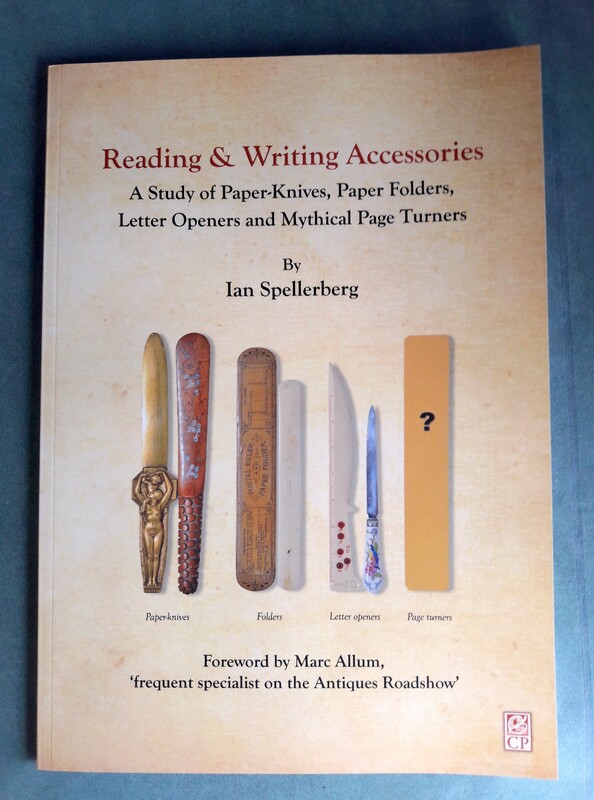 The full title of which is 'Reading & Writing Accessories, A Study of Paper-Knives, Paper Folders, Letter Openers and Mythical Page Turners. After some bartering I bought Ian's book and from me he bought a desk seal and a very nice bronze paper knife. Ian's book is published by Cadsonbury Publications, email cadsonbury@smithsbookshop.co.nz or a copy can be purchased from Amazon. It was great to chat to Ian - I hope he made it to the London Pen Show! 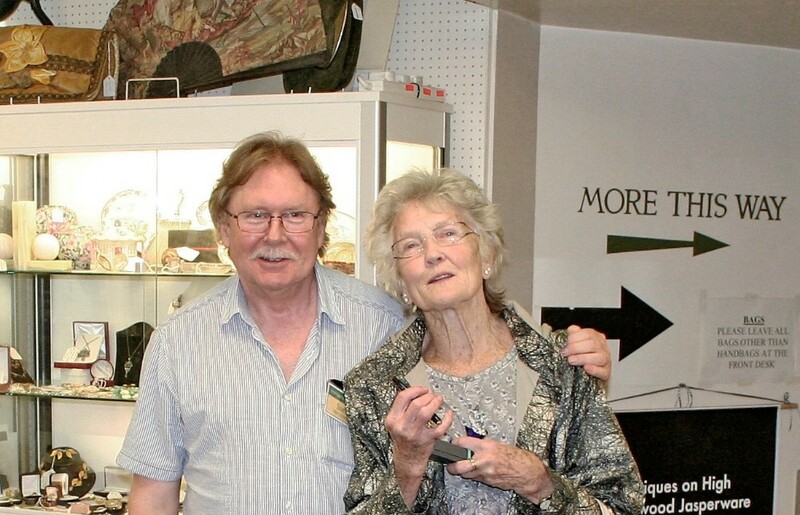 Peggy Seeger, the world famous folk singer and musician, visited Arian Antiques at Antiques On High, Oxford, seeking Alan to help restore her Parker Lady Lucky Curve fountain pen. The 1930s Lapis Blue ringtop pen was a treasured gift and Peggy was keen to have it back in good working order. Peggy's book, The First Time Ever: A Memoir is about to be published and will be available on October 5th, 2017. She is about to embark on her 'First Time Ever' Tour in the autumn. Please check her website www.peggyseeger.com for dates and more information.